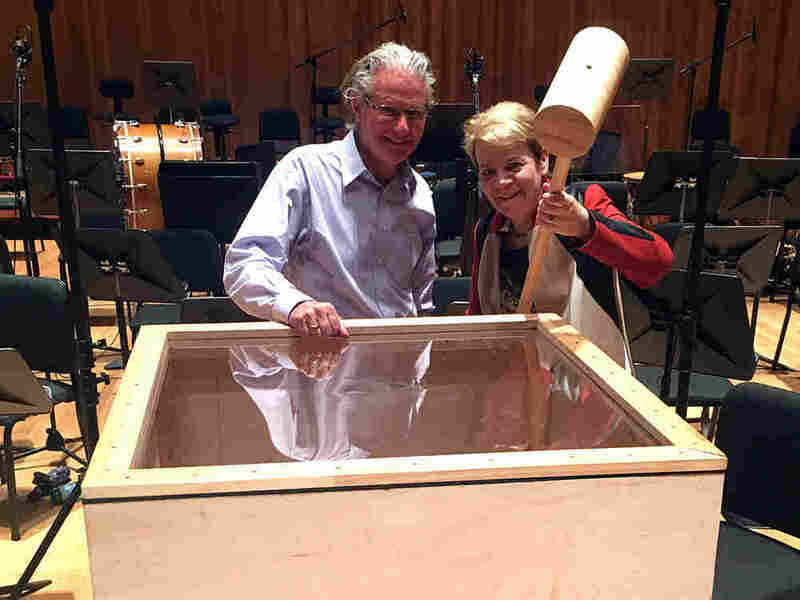 Hammered: Pounding Out The Excess In Mahler's Sixth Symphony : Deceptive Cadence At a time when we have become immune to shock and where hyperbole rules, Marin Alsop argues that Mahler's Sixth Symphony provides the perfect soundtrack. I've written about Gustav Mahler and his monumental symphonic achievements before, but right now I'm not sure there has ever been a more fitting symphony for our time than Mahler's Symphony No. 6. Today, as we have become immune to shock, where nothing seems too extreme and where hyperbole rules, Mahler and his Sixth Symphony seem to fit right in. Mahler was a man of excess, spectacle, illusion and indulgence. Most likely a narcissist, he was also devastatingly brilliant, a shameless self promoter and a man of enormous contradictions who fed off conflict and constructed delusions of grandeur. By the 1890s, Mahler was a veritable rock star – a celebrated conductor accompanied by throngs of adoring fans wherever he went. But even this constant attention could not satiate his need for acceptance as a composer. For most audiences in his day, Mahler's symphonies were bewildering and virtually unintelligible. While he was personally devastated by the public and critical dismissals of his work, he maintained a messianic conviction that posterity would recognize and embrace his greatness. A conviction that history has indeed borne out. For many, Mahler was a savior, for others a tyrant. Without a doubt, he was an extraordinarily complex man. My introduction to Mahler came through my musical mentor, and hero, Leonard Bernstein. An equally complicated man, he related to Mahler's struggles on a profound level. Bernstein was torn between composing and conducting; torn coming to terms with his Jewish heritage; torn by love and personal relationships and torn by loss and a lifelong search for meaning in a frequently meaningless world. For Mahler and Bernstein music was both a refuge and an answer — albeit an abstract one — to many of life's questions. "A symphony must be like the world," Mahler said. "It must contain everything." Mahler finished his Sixth Symphony in 1904 and premiered it two years later. His insecurity about the impending public reaction was evident at every turn. He kept changing his mind about the order of its four movements. And then there are the terrifying hammer blows in the finale. Overly superstitious, Mahler couldn't decide how many he wanted: first it was five, then three, and finally he settled on two. The genesis of the Sixth Symphony's nickname "Tragic" is somewhat ambiguous, considering that Mahler wrote it during one of the happiest periods in his life. The Symphony, in many ways, had been Mahler's most traditional work in years: four movements, with the first following the standard exposition repeat formula. The ideas, too, are simple and straightforward. The primal conflict is conveyed through the paradox of major vs. minor keys – happy vs. sad, light vs. dark, good vs. evil. Contrasting with the thunderous hammer blows are Mahler's offstage cowbells, emerging to evoke an idyllic existence. It's a feeling lost on many us today but it was probably quite a nostalgic moment for listeners in Mahler's time. In the Sixth, Mahler seems to be searching for meaning in a rapidly changing, complex world while worrying about potential annihilation by fanatical forces. Sound familiar? Bernstein used to say that Mahler was "The prophet of the 20th Century." Maybe we should amend that to include our own 21st Century.